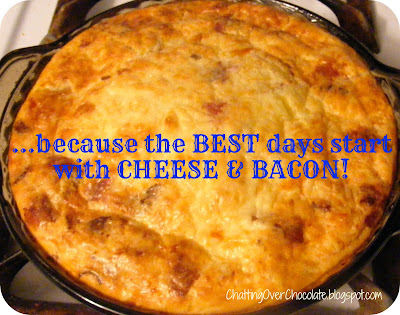 Chatting Over Chocolate: Throwback Thursday // Next Stop: Cheesy Eggilicious BACON-Y GOODNESS! Throwback Thursday // Next Stop: Cheesy Eggilicious BACON-Y GOODNESS! Happy Thursday, friends! This morning I'm throwing it back to the very first recipe I ever shared here! I remember what an exciting time that was as I'd just started Chatting Over Chocolate 8 days prior and began sharing my posts at link parties and mingling with other bloggers. 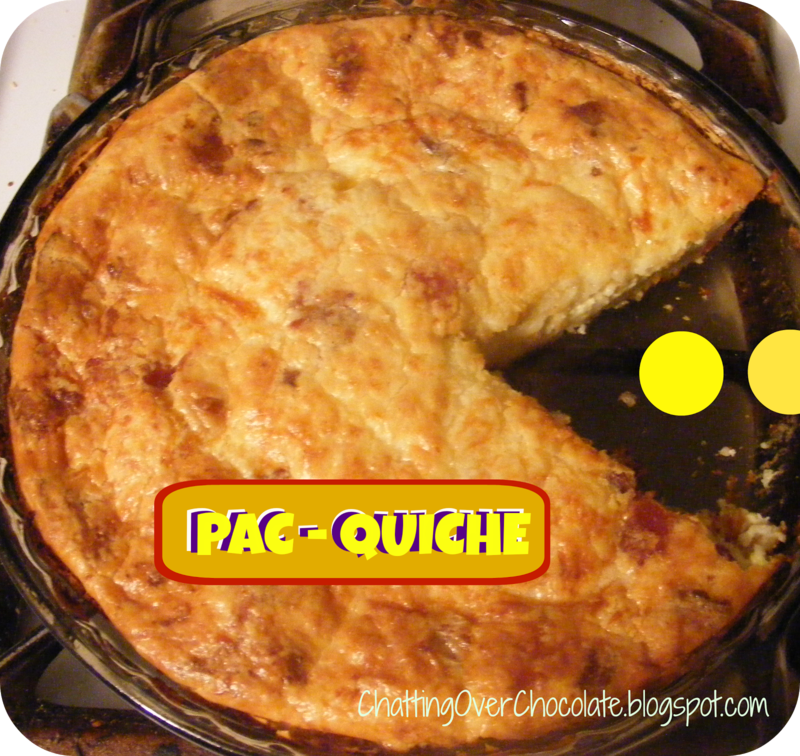 I was tickled pink to have this recipe featured at four link parties that month! As fun as that all was, those aren't the reasons this post is a favorite to throw back to. I love this one because it is my husband's favorite dish! In fact, I made two this week, one for a Valentine Brunch and the other as a gift of leftovers for my Valentine to enjoy throughout the week. Today I'm happy to (re)pass on this simple, yet beloved family favorite! If you try it, I hope you'll enjoy it every bit as much as we do! HELLO, WEEKEND! Aren't Saturdays absolutely glorious?! Well, I know just the thing to get them off to an even better start! SUPER SIMPLE and MIGHY DELICIOUS QUICHE! 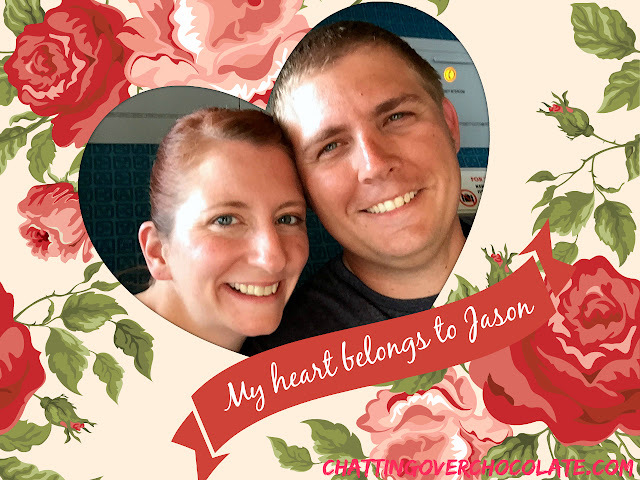 A Valentine's Reintroduction of My Loves! This sounds SO good. I mean hello, bacon and cheese! Cant go wrong with that combo. You are the queen of breakfast-y goodness! Looks DELISH! Wow! That DOES sound delicious! I know everyone in my house would gobble it up!!! Thanks for sharing, Brenda!